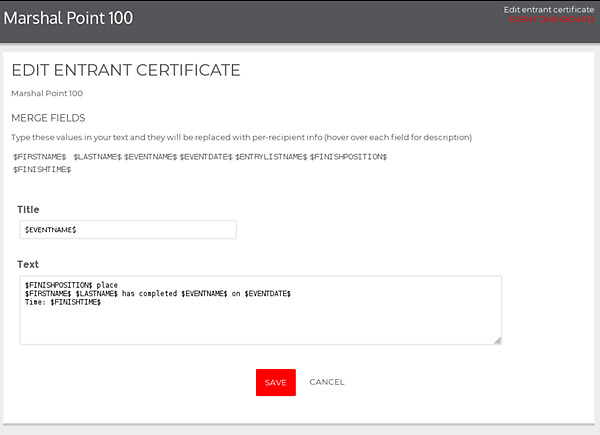 Now you can generate a custom certificate for each entrant, which they can download as a PDF. You can optionally include their finish time and / or position. You need to upload results to add timing information to entrants before they can download their certificates. You can include the mergefields shown, which will be replaced with the correct information for each entrant.